You have your own website and want to integrate a search function? Or you already have a search on your website but you are not satisfied with it? 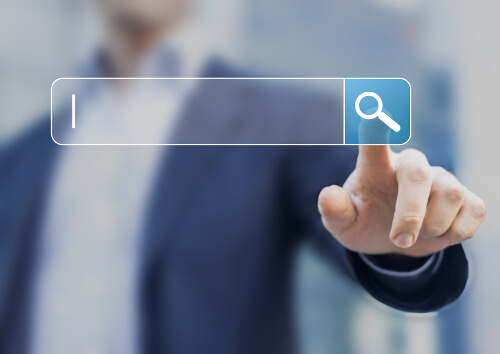 IntraFind Site Search is all you need. 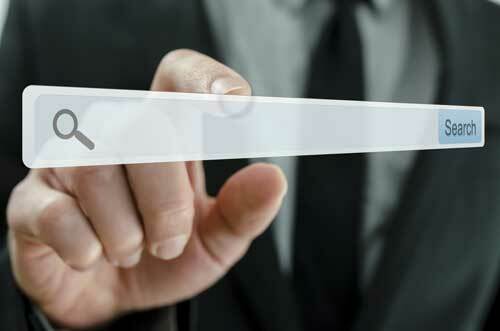 All website search results are highlighted in a clear hit list. Benefit also from lots of features like spelling correction, stemming and autocomplete. The API allows you to easily install and integrate the search bar into your website if you want to have maximum flexibility for a specific search solution. Updated pages are immediately available in the index. No matter if 1 user or 100,000 users – the search performance remains the same for many simultaneous search requests. Benefit from our simple subscription plans. More details about how to install and optimize Site Search on your website. and get your Site Search quickly started. Find all about Site Search API and get deeper into our source code. A comprehensive search function enables your website visitors to quickly find the desired information and prevents users from leaving your website prematurely. The higher user-friendliness leads to a higher dwell time and ensures more satisfied website visitors and customers. The user finds his desired product directly via the search function. This saves the user lots of time. Site Search supports a wide range of languages, making it ideal for multilingual websites. It also searches into PDF documents integrated into your website, e.g. manuals, documentation or product data sheets. Use reports to gain insight into what website visitors have been looking for. Use these reports to expand the content of your website and create new content for frequent searches that have not resulted in a hit. 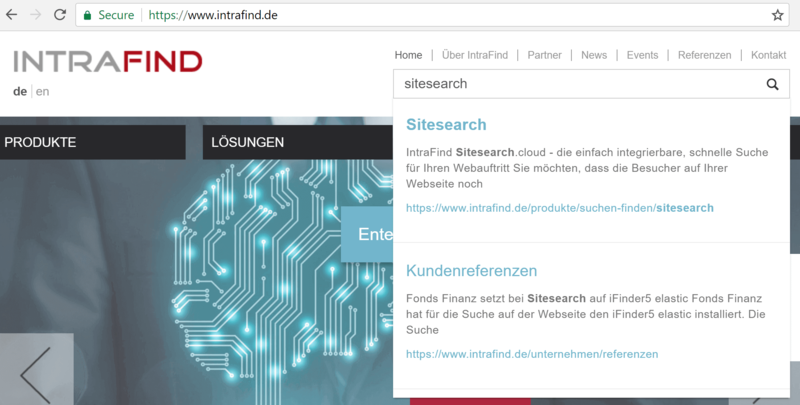 Thanks to IntraFind Site Search, customers of moebelhof.de can now find what they need even faster. Site Search was very easy to set up and almost immediately ready to go. To meet our additional requirements the IntraFind team supported us quickly and straightforwardly. One can just tell that the company has years of experience in the matter of search engines. 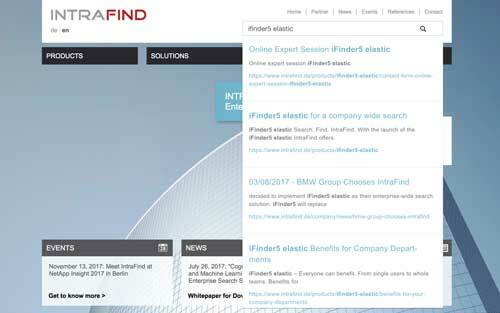 Site Search is a cloud-based website search solution based on Elasticsearch. Site Search fulfills all important standards on privacy and service operation. One search for every device. The website search bar adapts to the display size. …your website address and index your website. …and enable Site Search by copying and pasting the provided code snippet. …and develop your search bar design if needed. 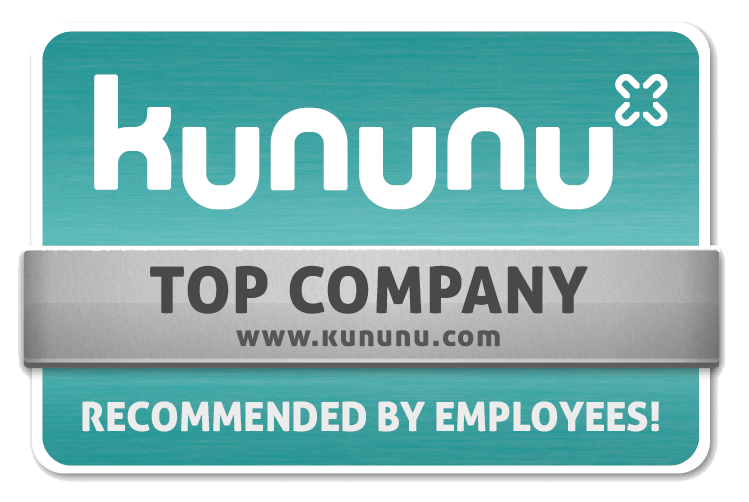 Who is using our Site Search for amazing search results?